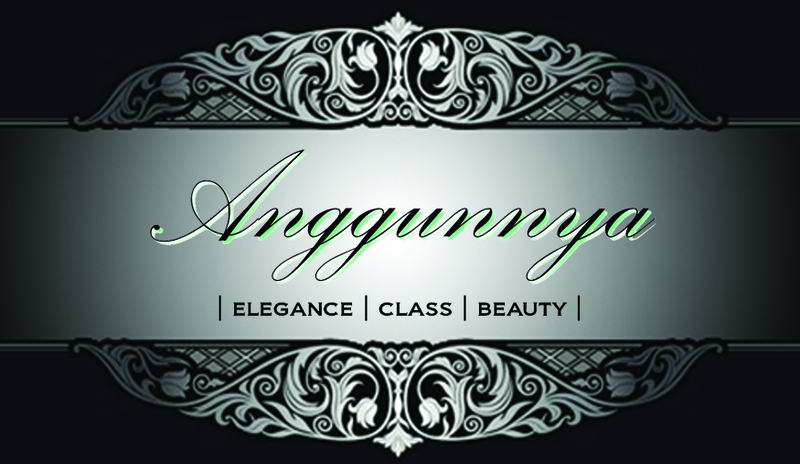 Your choice of gemstones with 3 lava white lava stones. 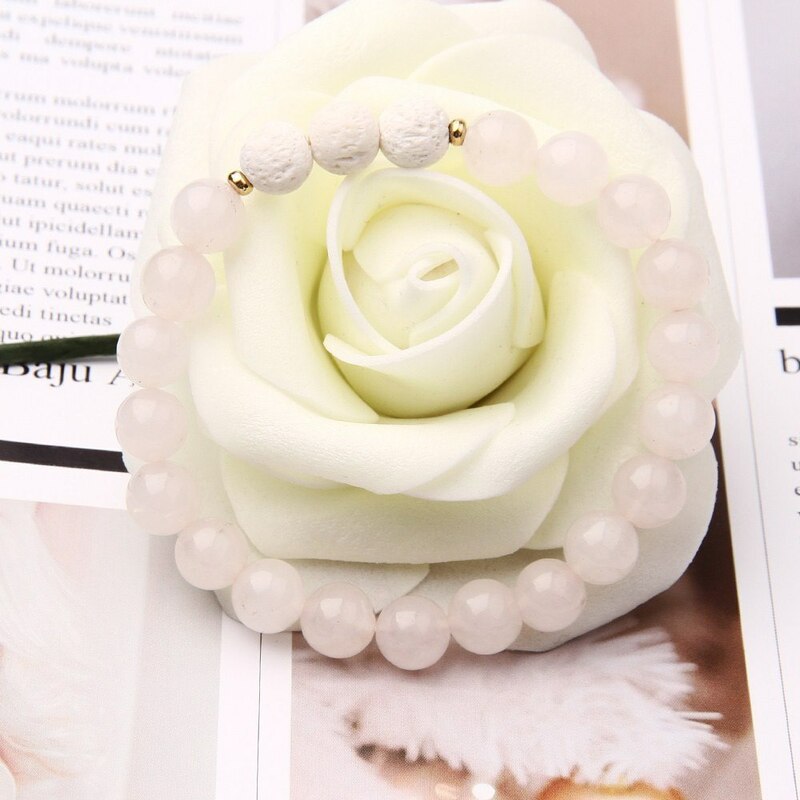 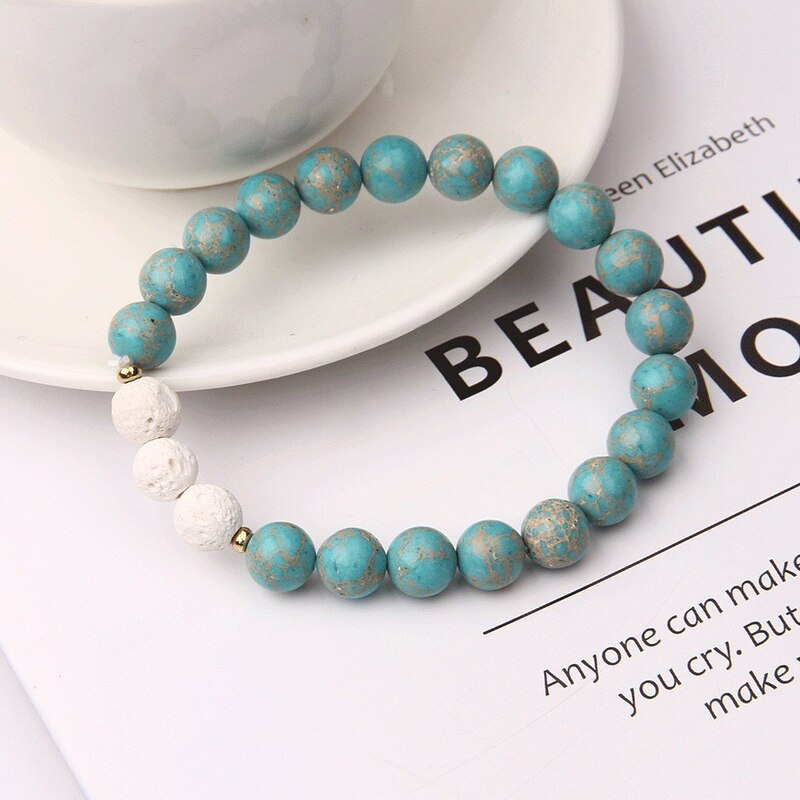 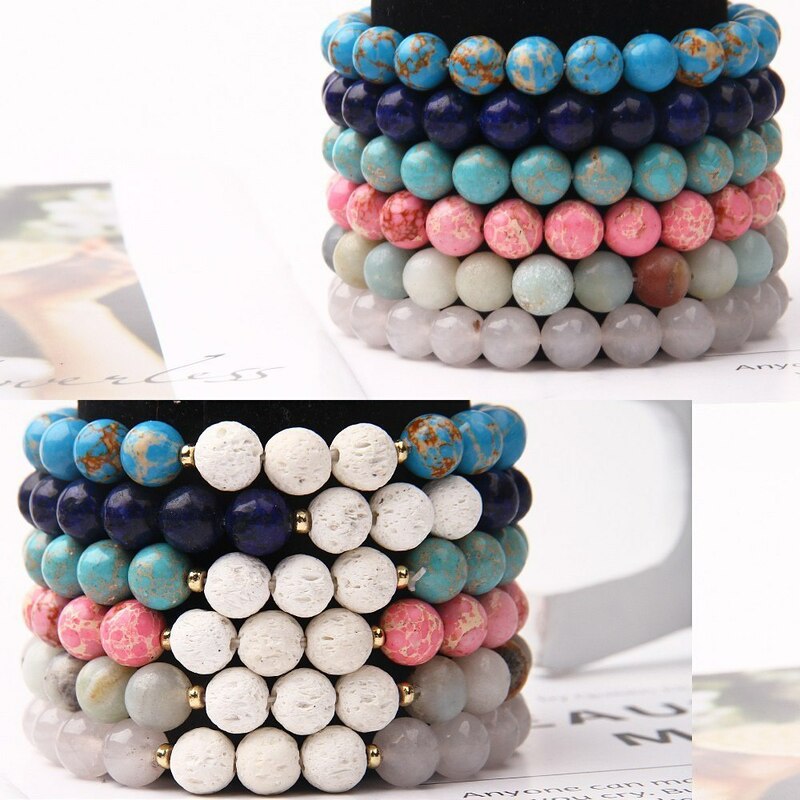 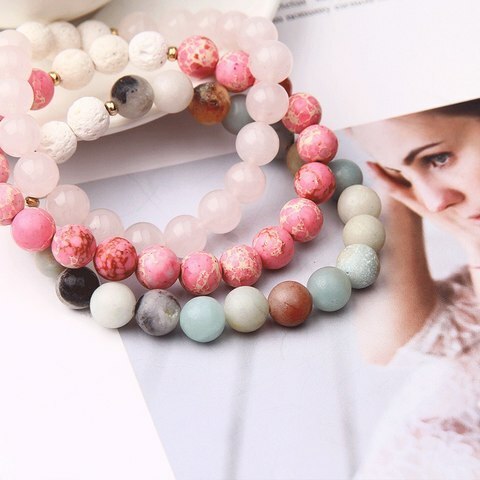 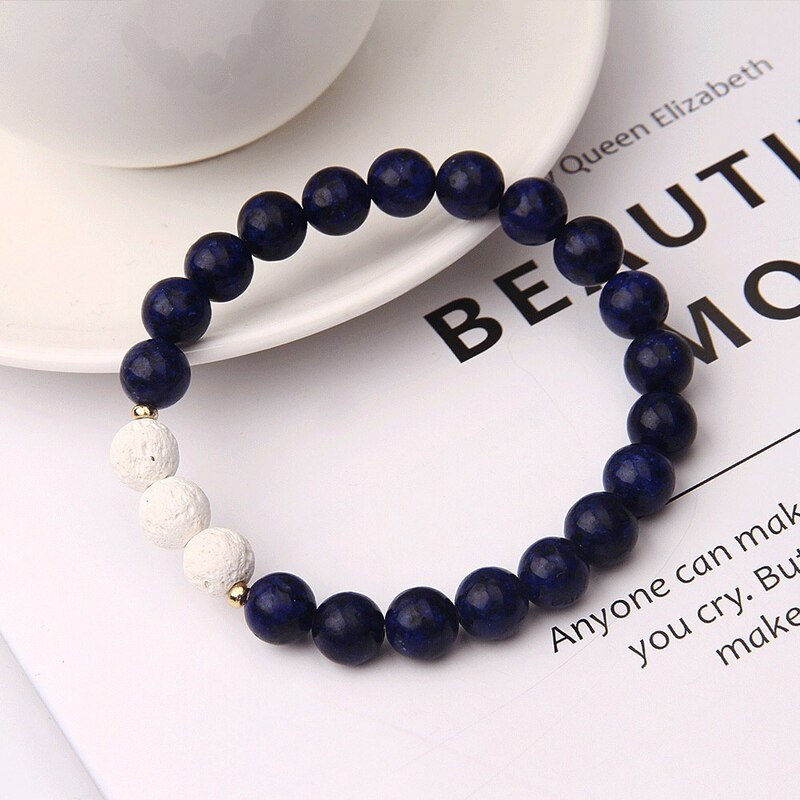 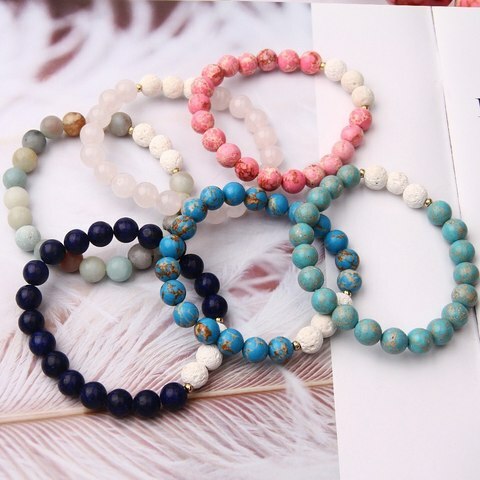 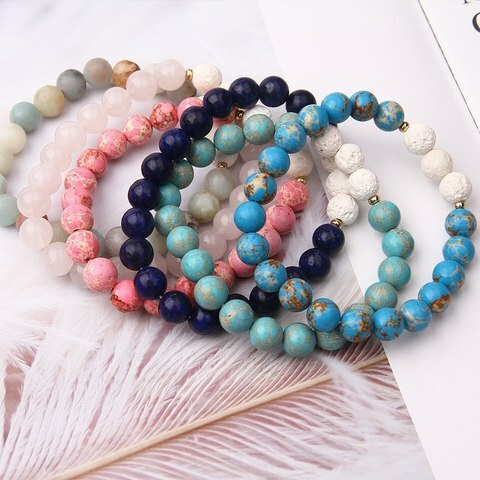 Bring peace to your body and calm your mind with natural healing stone diffuser bracelet. Add your favorite essential oil to diffuse anytime, anywhere. 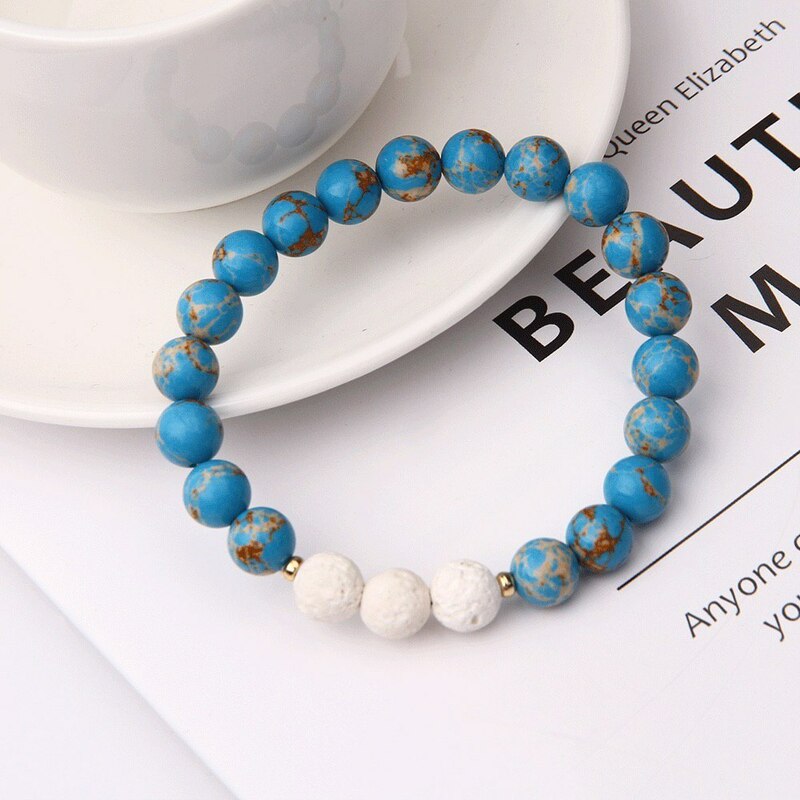 Lava diffuser jewelry is the next big thing. 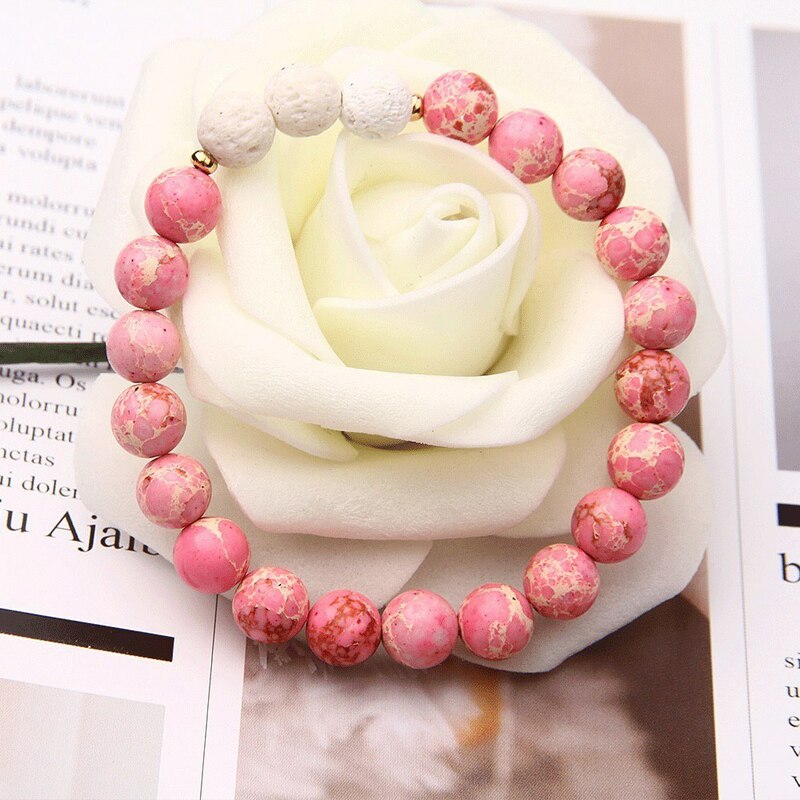 Lava diffuser jewelry holds unique healing properties that can support your wellness journey.